Here’s a look at our new box design for the rattlesnake aversion program! 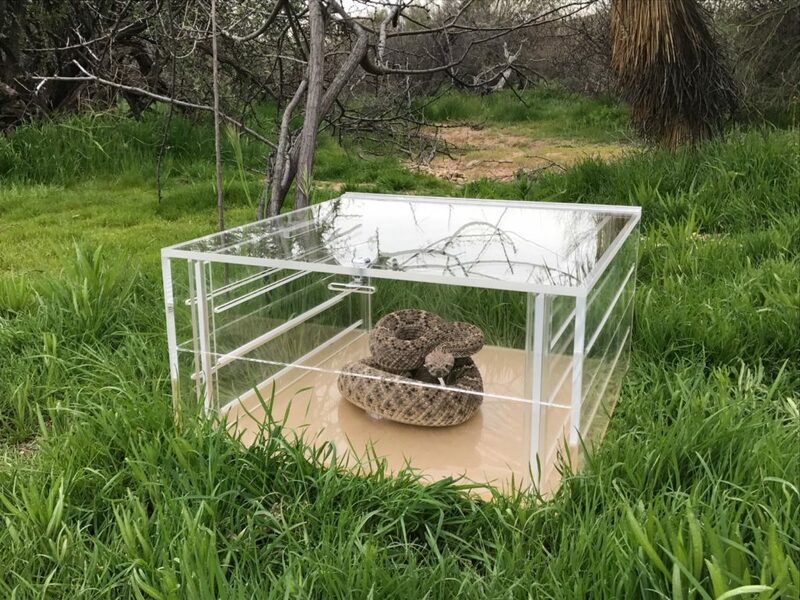 These are an improvement over the first box designs and allow for complete visibility of the snake, reducing the chance that a dog may respond to the box itself, rather than the critter inside. These are a custom design by our trainer, Jill Rials. We believe that the more realistic the scenario that we can present, the better chance that the training will work where it counts. 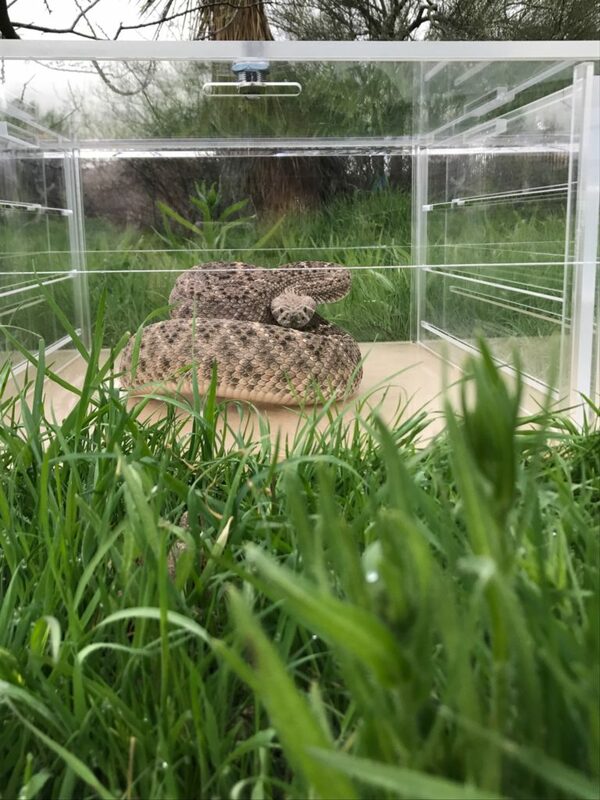 Most rattlesnake bites to dogs occur in the yard, while he or she is outside going to the bathroom first thing in the morning, or in the evening, when the home owner is not necessarily present. While snake bites do occur on trails and while hiking, simply having a leash can help dramatically. This is why our program is done at your own home, and snakes are placed in spots where your dog could actually come into contact with a rattlesnake. To schedule rattlesnake aversion training for your pet, call us at 480-304-5600. Rattlesnakes Coming out of of Hibernation Early? Nope. Don’t Fall for Local News Clickbait	Record heat! Does this mean Arizona rattlesnakes are coming out early?